What Can Companies Do To Get Intelligence Out Of Business Data? Lately, companies have been trying to find ways in getting intelligence out of business data with limited results. Main reason being the use of inadequate tools as companies are not aware of what value these business intelligent solutions deliver. Companies are well aware of the wealth of data they are sitting on, and with an effective BI solutionthey will be able to mine and analyze the big data to improve their decision making. So, what can companies do to get intelligence out of business data? 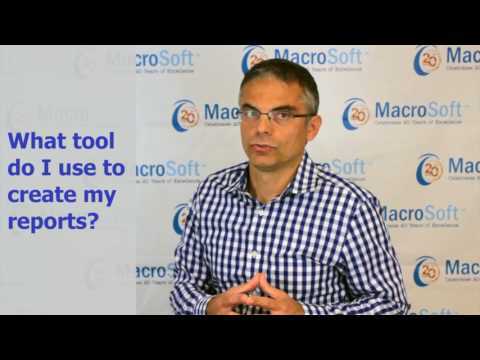 According to Burak, a solution architect at Macrosoft and proficient in building data analytics solutions, companies need to identify the data sources, the intricacies about those data sources, and what are the different data metrics and dimensions each data source brings. Simply put, business intelligence (BI) is nothing but transformation of the raw unstructured data into meaningful results that deliver value to the business. Data that companies are collecting may be coming from various sources such as email, advertising, social media, web analytics, CRM programs. This data needs to be filtered using BI tools to identify the right parameters that require focus to derive at appropriate results. Finding the right data source that gives the most detailed and accurate analysis is the key. It should be possible to centralize this data and link it with the expected results. All this is part of the ground work that will create the foundation for business intelligence. Next question is what tools to use in order to create these reports. One should follow a two-way approach as you cannot just be moving on to the next shiny tool and expect that it will solve all problems. It is the mindset and strategy that matters and not the next reporting software. What is required is aligning the key performance indicators with business strategies, then using BI software to provide visibility to arrive at the desired outcomes. BI software enables companies to identify patterns that offer insight by helping decision-makers identify areas of cost savings leading to direct profit. Having a strong BI system helps companies generate reports quickly thus saving time that can be used for deeper analysis to drive faster decision making. Most important of all is the question, What are our business objectives? Understanding the business objectives clearly and connecting the key performance indicators (KPI) to those business objectives is critical. It is only then one can start formulating the reporting structure as is expected. KPIs include all information related to the goals of a business which must align with the company’s core business objectives. Also, KPIs have additional metadata providing information on how the results of KPIs calculation should be displayed. Reports are crucial as they form the starting point of any analysis, while the key performance indicators provide the ability to display core metrics guiding your business decisions. What is required is identifying the data sources, clean the data sources, centralize, and align the business objectives to the key performance indicators and look for the story within the data. Analysis and intelligent reporting is all about telling a story on how your business has performed and predicting the outcomes that can be nurtured to the vantage of your business.